Papers: 1 audiotape (1969) in Westinghouse Broadcasting Company collection, 1945-1981. Oral History: Tapes and transcripts with consumer activists and Consumers Union members, 1972-1979. Papers: 1977-1988. 385 manuscript boxes, 35 cubic foot boxes, 36 card file boxes, and 7 oversize boxes. Correspondence, memoranda, reports, documents, clippings, other printed matter, photographs, audiotapes, videotapes, and memorabilia relating to many aspects of American foreign relations and domestic policies. Finding aid. Papers: 1959-1982. 10.2 linear feet. 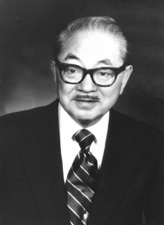 Correspondence, office memos, invitations, biographical data, press releases, and reports from Hayakawas San Diego office. Papers: Correspondence in Adolph Frederick Reinhardt papers, 1930-1967, available on 5 microfilm reels. Finding aid. Papers: 1 letter (March 16, 1938) to Institute for Propaganda Analysis; also in Edwin H. Newman papers, 1944-1978; and Carlton B. Goodlet papers, 1942-1967. Papers: Letters in several collections. Papers: June 8, 11, and 13, 1946. 3 letters. From Alfred Korzybski. Papers: Correspondence in Granville F. Knight papers, 1920-1981 (bulk 1960-1975). Papers: Guest lecture in audiotapes collection, 1963-1980. Papers: In John Collier papers, 1910-1987; Jerome New Frank papers, 1918-1972; and Trigant Burrow papers, 1875-1984. Research Libraries Information Network In addition to the institutions listed above, items are also cataloged in collections at: Minnesota Historical Society, St. Paul, MN; Radcliffe College, Schlesinger Library, Cambridge, MA; University of Michigan, Bentley Historical Library, Ann Arbor, MI; University of Pennsylvania, Philadelphia, PA; and University of Virginia Library, Charlottesville, VA.